Are you new to the Chamber of Commerce or have new staff memebers? 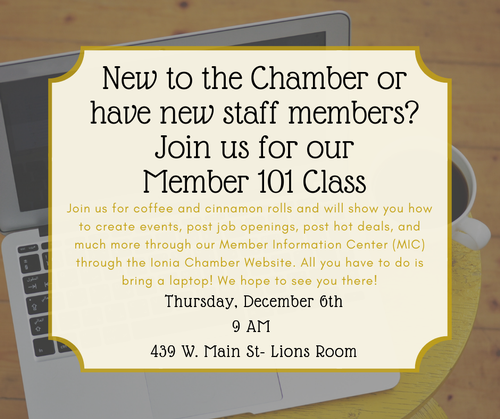 Join us for coffee and cinnamon rolls and we will show you how to create events, post job openings, post hot deals, and much more through our Member Information Center (MIC) through the Ionia Area Chamber website.All you have to do if bring a laptop! We hope to see you there!